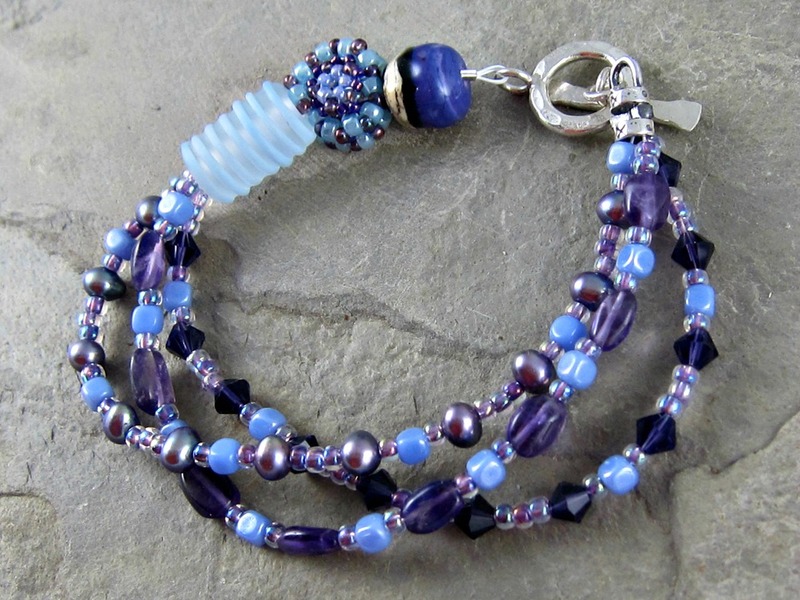 This entry was posted in Art Beads and Components, Jewelry and tagged amethyst, Art Beads, Art Jewelry Elements, art to wear, artisan jewelry, Beads and Botanicals, blog hop, bracelet, Component of the Month Challenge, Facebook Destash Group, Linda Landig Jewelry, multi-strand bracelet, purple and blue bracelet by Linda Landig. Bookmark the permalink. Love it Linda! Who could resist the lovely purples? Oh yes, love your bracelet and they way you put it together. And I love the repeating patterns of the seed beads – definitely reminds me of irises! Awesome! I love how the colors all seem to shine with the challenge bead. And purple is my most fav color. Excellent job! Very pretty Linda – beautifully co-ordinated. I so love the colors of this gorgeous bracelet. Love love love it. The matte glass spiral plays so well with eh glossy detailed texture of Sue’s bead. Really pretty! Love your bracelet! And The component is great just wanted to add that The actual design/pattern for these beads was created by Debra Schwartz of DatzKatz designs on Etsy and indiemade. Just wanted to give credit where credit is deserved. Thanks for giving Debra credit. I always try to do that too, when I am aware that someone needs crediting. What a lovely mix of beads you have picked out the colours of the seed beads perfectly and i love that it goes from one strand to three, lovely touch! I love your multi-strand bracelets! 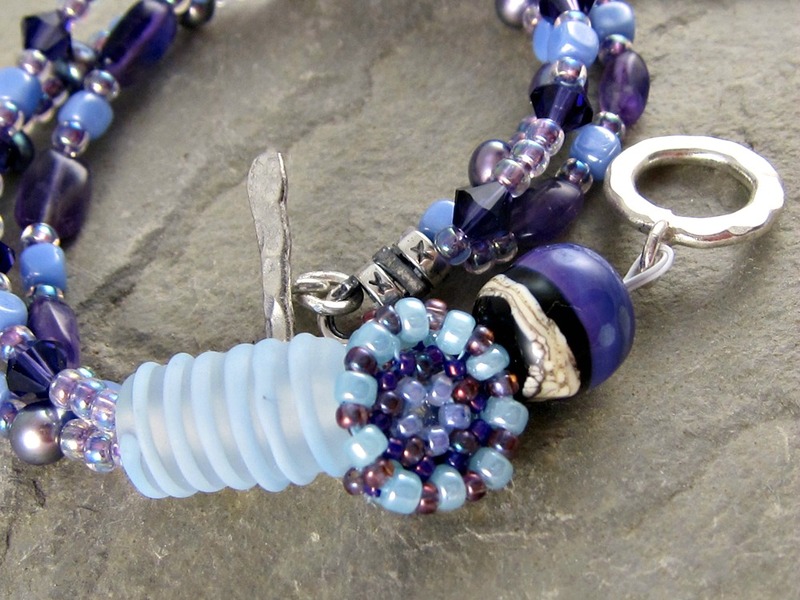 The mix of beads and colors work perfectly with Sue’s bead! 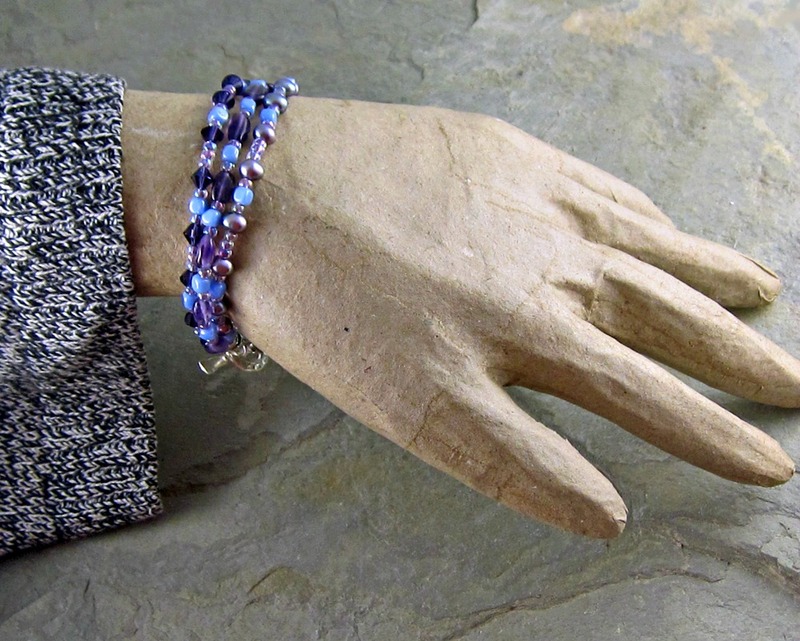 Oh, and Linda, that is a lovely bracelet you designed with the Mandala Rondelle BB!! 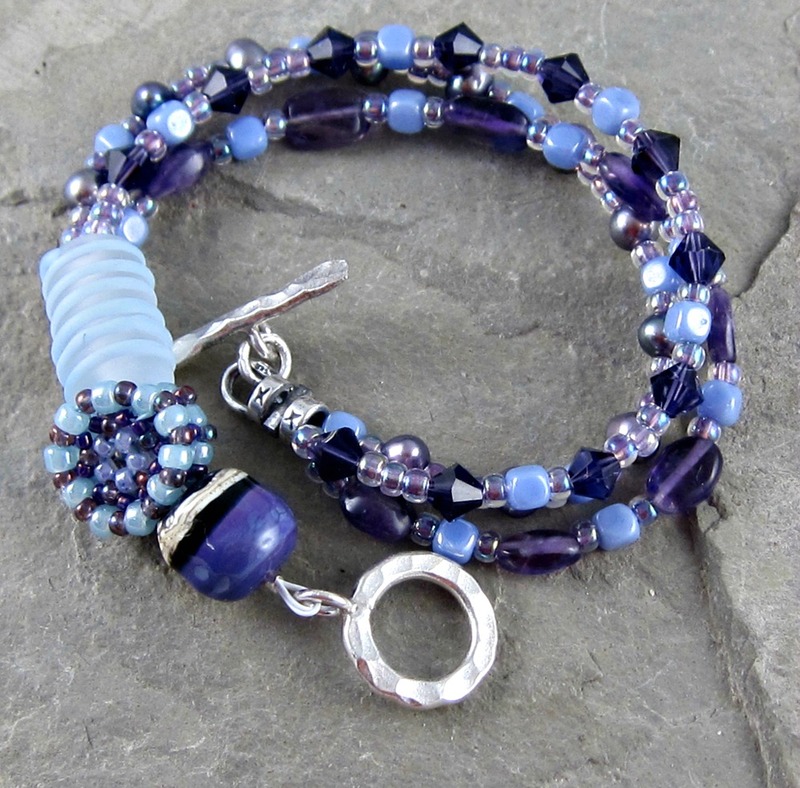 Really pretty, I love the dark purple against the pale blue, it’s lovely combination!